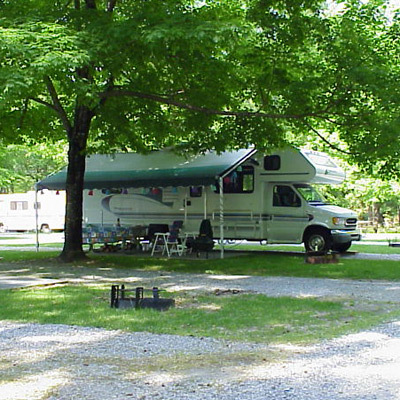 Tuckaleechee Cove and the communities of Townsend and Walland are a camper’s paradise. If you enjoy camping you will enjoy the quiet atmosphere of our valley. There are remote backcountry sites and developed campgrounds in Great Smoky Mountains National Park. The developed Park campgrounds have bathrooms but no showers. Also there are no electrical or other hookups. 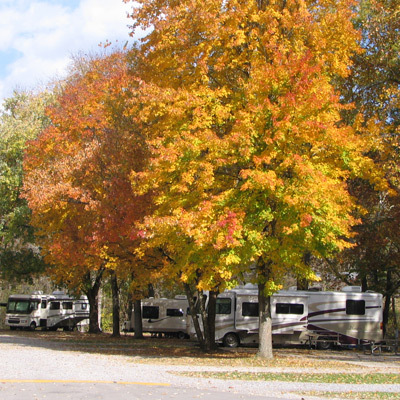 Outside the Park in our community there are six campgrounds with the amenities you might be interested in. All of these campgrounds are located on or very near Little River. They all have showers and bath houses, electrical hookups and some even have cable television and high speed internet connections. All of these camper resorts offer excellent service, which is what we are known for here. 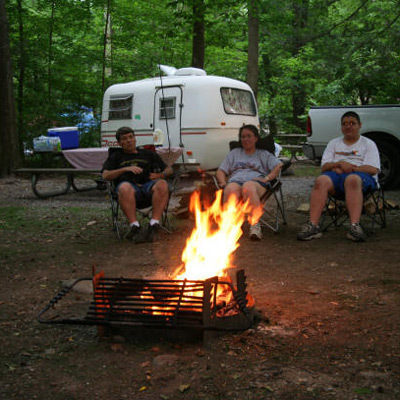 Our campgrounds have specific areas for tent camping, travel trailers and huge motor homes. We can handle them all. Some campgrounds have 30 amp and 50 amp electrical service. Some of our campgrounds have small efficiency cabins so if it’s too cold for a tent or you have friends who don’t have the necessary equipment a shelter is available. Many of the campgrounds have swimming pools. One campground is located next to the old mill dam in Townsend which is a historical site. Many of our campgrounds are also adjacent to the sidewalk and bike trail that spans several miles through town. Getting to Townsend is easy if you are pulling a travel trailer or driving a large motor home. We highly recommend driving through Maryville to avoid heavy traffic and winding mountain roads. Once you get here and park your RV or pitch your tent you are going to have the time of your life. There is so much to do in Tuckaleechee Cove and nearby. Great Smoky Mountains National Park is our main attraction with all the rivers, mountains, wildlife and trails. If you fly fish you are going to be in for a treat. There are 800 miles of fishable trout streams in the Park. Little River through Townsend is stocked with trout in all but the warmest months and downstream you can find great smallmouth fishing. Canoeing and kayaking opportunities are available all around this valley. Bicycling is very popular here. So hook it up and drag it here and enjoy your Townsend or Walland vacation.